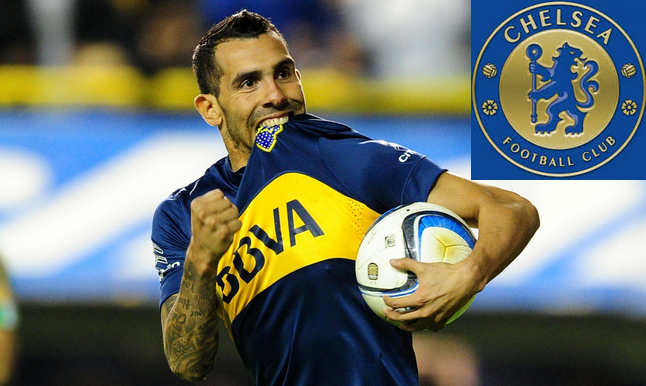 Carlos Tevez is a great Argentine striker who is currently 32 years old. He played for many clubs and now he is under contract with Argentine club Boca Juniors. But recently, this Argentine forward has revealed a secret that Chelsea boss Conte has made a great offer to tie him. Conte Knows the ability of the great attacker where he played with the Juve for two consecutive season. There he made 66 appearances and scored 39 goals so far. It is a reason to want him so bad but there is still some other reasons too. They have a possible chance to lose their regular striker Diego Costa where Atletico Madrid keeps continue the pressure for him. But, Chelsea are keeping them wait. Conte has also frustrated about the delaying of his new signing of Alvaro Morata from Real Madrid for almost £60 million. All in all, they need to reach a conclusion and which why they are taking step for Carlos Tevez to sign. Tevez stated that not only Chelsea but also Italian Napoli is also keen to him to taking him back to Europe. But he added that he is not going back where he left behind years ago. He also stated that he is fine with the Argentine side and he wishes to finish his long football career as a player of Xeneizes. He discloses one thing straight that Napoli and Chelsea wants him but he wants to stay at Estadio Alberto. In this circumstances, the Blues are in great trouble where they are still fail to signing Alvaro Morata and as a result they do not take risk to leave Diego Costa. The Blues have already landed N’Golo Kante from the EPL champion and Michy Batshuayi from Marseille. Now. they are eagerly waiting for their third signing. Interest to sign Tevez to the Stamford Bridge, the Hammers co chairman announced that they were trying to land this Argentine star but demanded high wage. It is not forgotten that this star forward helped the Irons in 2007 EPL season from relegation and became the hero. This player started his career with Boca Juniors in 2001 and resigning with them in 2015 for a clause of only €6.5 million from Juventus. He played for Juventus 66 appearances. He made the highest 113 appearances with Manchester City where he arrived in 14th July, 2009. He made 58 goals with them. He totally played 392 league appearances in his entire career and scored 179 goals. He played for Argentina international since 2004 and in last Copa America Centenario tournament he was omitted.